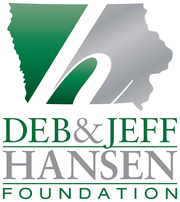 Help us get Freedom Rock Plates for Iowa! Don't call the DOT with questions as the plate has not been issued yet. We have to collect and organize 500 paid applications before they will be available. 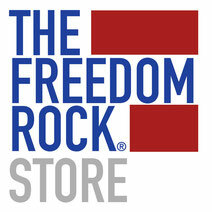 The Freedom Rock license plate may be displayed on the following vehicles: automobiles, motor homes, multipurpose vehicles, trucks (3,4, & 5 ton), travel trailers, trailers and motorcycles. 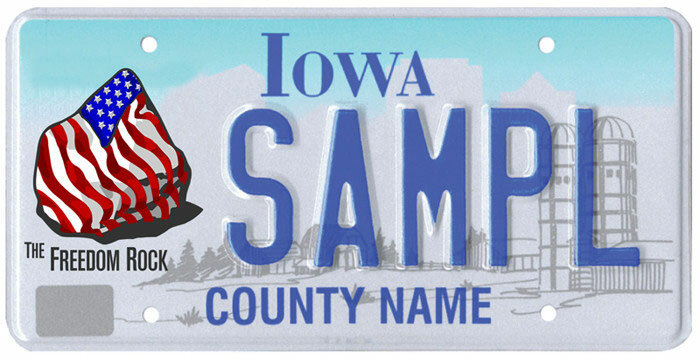 The annual renewal fee for these plates is $5, which is due at the time the vehicle owner pays their annual vehicle registration renewal fee. The manufacturing and distribution of the new plates will occur approximately six to eight weeks after we are able to process, properly document, and send in all 500 applications.